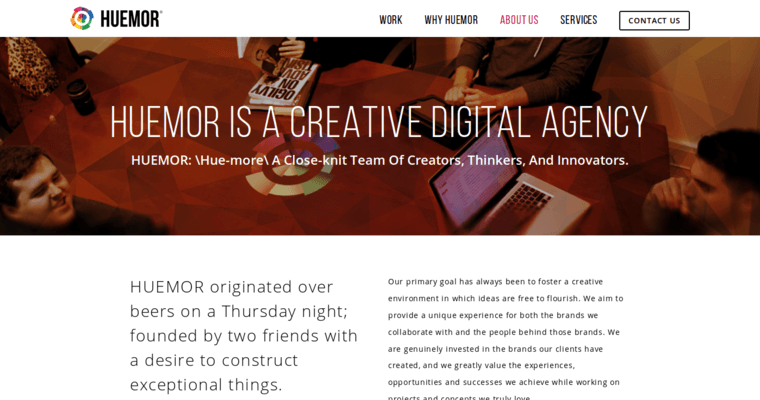 Creative freedom, tech-savviness, and innovative flow are all qualities that Huemor Designs, an award-winning and connective web design firm, possesses. Their web designs and online developments incorporate dozens of different technologies, from custom features that point out the best things about a business, to comprehensive, complex codes that secure a business website’s hack-proof exterior. Additionally, there are brand-new, advanced technologies released on a month-to-month basis. Ergo, these creative minds, innovative designers, and knowledgeable developers strive to master these new elements before anyone else. And, usually, these tech savvies succeed in their endeavors, making them capable of new technological incorporation and perfection. The internet is in a constant state of evolution and uniqueness, as is the business world. That said, Huemor Designs rolls with those changes, evolving to accommodate the ever-changing technologies and business knowledge that typically furthers the success of companies. Their minds are ever-growing and expanding—all to help your brand.